The Canberra Craft Beer & Cider Festival returns with a seriously huge lineup in 2018. A record number of exhibitors is expected for the event staged in the gardens of the heritage Mercure Canberra in Braddon, including breweries from across Australia along with live bands, food, entertainment and a wide range of kids’ activities. 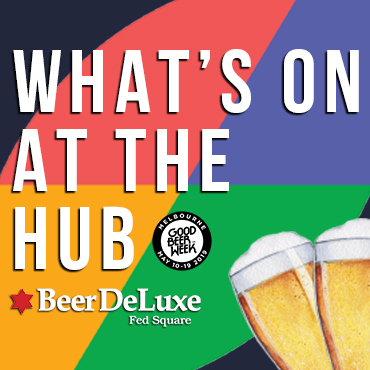 More than 200 beers and ciders will be available for tasting and visitors will be able to take part in beer and cider food matching sessions, hear guest speakers and meet many of the brewers behind the beers. The local scene will be represented by BentSpoke, Pact, Zierholz and Capital, who are joined by brewers and cider makers both big and small from the rest of the country. See the full lineup here. As in previous years, the festival will be raising funds for ACT Cancer Support’s Rise Above organisation, which provides support for more than 950 cancer patients. Tickets are now available for $15 pre-purchase (via Moshtix) or $22 at the door (a booking fee applies). If you buy yours before the end of February, you'll go into a draw to win cases of beer or cider and a Dave's Tour voucher. We've got two prize packs featuring six tickets each to give away too. You can enter one via our Facebook page before February 21 (just look for the post related to this event) with the other available to members of The Crafty Cabal. The festival runs from 11am to 6pm on March 24.